Francisco Sandoval of the professional aerial video and photography company SkyCam from Guatemala just recently visited Belize with a couple of his remote controlled helicopter drones and compiled this great video of Belize’s natural beauty. In the video you can see amazing images of Goff’s Caye located offshore Belize City, Cayo Espanto in Ambergris Caye, San Pedro Town, Ambergris Caye and of the Maya Temples at Xunantunich, Cayo, Belize. The video is very professionally done and speaks of the great services of SkyCam Guatemala. 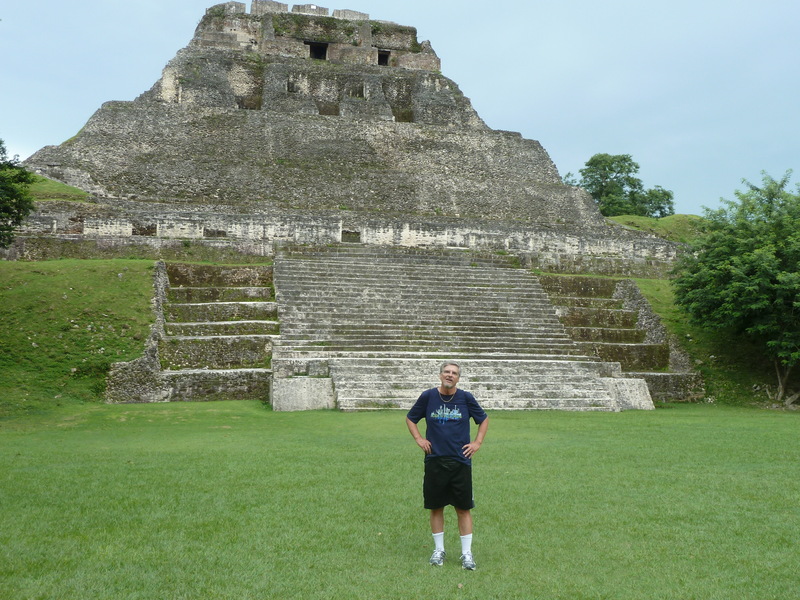 Guess who at “El Castillo,” the Maya temple at Xunantunich, which is featured in the video above. Sorry been out of touch so long. Been having computer problems for a couple of months but I sure have got a lot of other things done. Beautiful work on that vid. Drop me a line sometime!